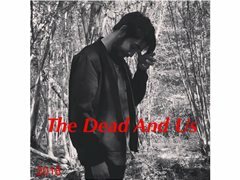 The Dead And Us is a short series I am planning to make, the first series I wish to make is to be very quite short and consist of six episodes which will range from 12-15 minutes. The story is based on a group of survivors who are under threat by another group for a supply demand in order to get their friend back, we later see how everything leads to the moments in the series. Their are several flashback scenes also which serve a purpose to the story. If anyone is interested and has any questions then please don't hesitate to message me. An experienced camera man will be required for this short series, I am looking for somebody who is confident and very good at filming and knows what shot goes best for a scene etc. Any questions please don't hesitate to message. I am looking for an experienced or someone who is new to photography to take some still shots of the characters and some location spots as to where we film the series. Any questions, please don't hesitate to message me. I am looking for someone who's really well skilled and has a great experience at Make up effects. Cuts, scratches, bites, open wounds (Shallow and deep), gore (missing fingers, parts of skin), bruises, black eyes, gun shot wounds, knife wounds, decaying skin and maybe more. If you feel as though you can bring these effects to series then please feel free to apply, any questions also, please don't hesitate to message me. I think the title speaks for itself, but I need as many people as I can to play some zombies for the series. The role of mercenaries are that they follow Rex to hunt down the protagonists and make them pay for the death of one their allied groups. Any gender, any ethnicity and any experience is fine. For this role we would really like you to wear black clothing, this can be a t-shirt (Short or long sleeve), jeans and boots. If you wish to wear a balaclava or any kind of face wrap to make your mercenary look more sinister then that's perfectly fine. Please note that some mercs will have a few lines. I am looking for someone who can work on sound and has good experience at this, working with a boom would be beneficial to the project. For more details please message me. The bandit leader is in charge of a small group in which hunts survivors down for the supplies. This group of bandits has no mercy and will kill survivors on sight. The bandit hunter works closely with the bandit leader, the character isn't afraid of confrontation and is willing to risk his life for his leader. The bandit thug tends to work alone and is more than happy to take on his enemies alone. This bandit enjoys cornering his victims and is careful about how he approaches them. He is sinister and has no care in the world for any survivors he comes across. Norman is a sole survivor who meets the group of survivors. He is a flashback character and his purpose was helping people get to safety as he knew the army were going to be destroying a part of the country in order to contain the outbreak. He is constantly struggling with keeping bandits away and joins the survivors in fighting them. Norman is good with guns and knows how to fend for himself in a fight. Preferably an actor who is middle aged, grey(ing), has a beard and is physically fit. Dave is one of the friends of the group who are seen catching up with one another. Dave is mainly seen with Charlotte as the two have a great friendship. He is also someone who doesn't cope to well in a difficult situations and tends to freak out. However this characters personality will change once the events of the apocalypse begin. Ant is a prisoner who is being held against his will by the red hand mercs. He is one of the four friends who wish to escape the mercenaries and find their place in the new world. Oscar is a prisoner who is being held against his own will by the red hand mercs, he looks up to Ant and isn't afraid to say what's on his mind. Although it may land him in trouble, he is still respectful and knows when to stop himself. Oscar is desperate to escape, but knows if he tries he'll be gunned down, so he believes being patient will eventually get him out. Meg is a prisoner being held against her own will by the red hand mercs. She is very calm and collective and knows how to diffuse a situation. She looks out for Ant, Oscar and Oliver who she has met and come to respect whilst being imprisoned by the mercs. She is very much wanting to escape and start a new life with her friends and see where it takes her. Oliver is a prisoner held against his own will by the red hand mercs. He is usually quiet and keeps himself to himself. However when he realises an escape is possible he decides to pitch in and not lose hope. Oliver is very caring and is willing to make tough decisions if needed to. He looks up to Ant and wishes to be someone his friends will respect, even it means he won't talk much to them.